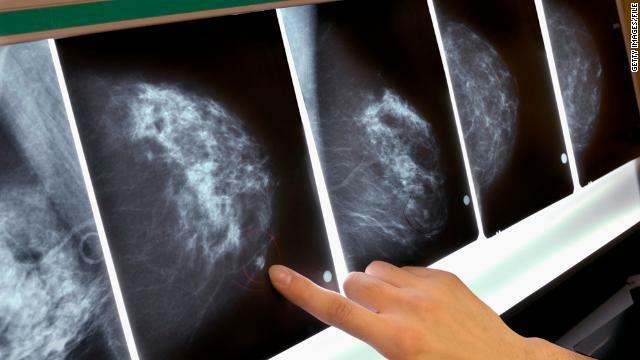 New research reveals that women who take any type of hormone replacement therapy for longer than 10 years may increase their risk of breast cancer. Some women still use hormone replacement therapy to help ease unpleasant symptoms of menopause, which can include hot flashes, night sweats and memory problems. Estrogen plus progesterone is prescribed for women who still have a uterus because research has shown that progesterone decreases the risk for cancer in the uterus lining. Women who no longer have a uterus because they’ve had a hysterectomy are treated with estrogen-only therapy. Over the past decade research has gone back and forth about these drugs, raising concerns about their impact on breast cancer and heart disease. A study published just last month suggested estrogen might be good for you in the short term, but a new study presented at the American Association for Cancer Research conference in Chicago this week is the first study to examine the effects of hormone replacement therapy for longer than 10 years. Lead study author Dr. Wendy Y. Chen of the Dana-Farber Cancer Institute in Boston, Massachusetts, says her research shows that women should be careful with long-term use of hormone replacement therapy. In 2002, one arm of a large U.S. study – the Women’s Health Initiative (WHI) - set out to confirm that hormone replacement therapy helps prevent heart disease. It was halted when it was discovered that women in the study taking estrogen plus progesterone actually had an increased risk for invasive breast cancer, blood clots, strokes and heart disease after about five years. While combination hormones showed some benefits including reduced hip fractures and colon cancer, the researchers determined that “harm was greater than the benefit." In a separate study, the WHI also looked at women who were taking estrogen-only hormone replacement therapy. This study was stopped in 2004, when researchers detected an increased risk for stroke and blood clots. The study found a decreased risk of breast cancer compared to women who were taking the placebo, but the difference was not statistically significant. It's important to keep the numbers in perspective. According to the National Institutes of Health, when you break down the increased breast cancer risk for women in WHI taking estrogen and progesterone, the absolute risk was really low. But putting that number into percentages makes the statistics seem daunting. “This study adds an important piece to the available evidence regarding hormone replacement therapy," said Dr. Michael Cowher, breast surgeon at the Cleveland Clinic Breast Center. “Similar to estrogen plus progesterone therapy, there is also an increased risk to continuing estrogen alone therapy for longer than 10 years. The initial decrease in breast cancer incidence may revert to an increase with long term usage. For women that have been on long term HRT, either estrogen alone or estrogen plus progesterone, this study may prompt a discussion with their doctor to consider stopping." The American Cancer Society urges women to talk to their doctors and weigh the risks and benefits of using hormone replacement therapy. Those risks may include cancer, heart disease and blood clots. The ACS advises women to use the lowest dose possible for the least amount of time to prevent harmful long term effects. Despite the increased risk for developing breast cancer, the researchers did not find an increased risk for dying from breast cancer. Chen and her colleagues are currently examining this aspect of the findings. I have to agree completely with this, especially for women with a hereditary predisposition. My grandmother developed breast cancer while on hormone therapy. The problem is these hormones are one of the primary growth promoters in breast cancer cells, at least until the cancer develops its own self promoters. Could we have some actual numbers, please?! As the article says "putting that number into percentages makes the statistics seem daunting". Yet no actual numbers are given. Anyone who conducts research knows that percentages can be very misleading, since an increase from one person to two people would mean that a risk had doubled. So how about providing the actual numbers of women getting breast cancer in the Nurses Study? The percentages reported are derived from a relative risk or odd ratio comparing the number of women who developed the disease with and without HRT. A relative risk of 1.22 would mean an 22% increase risk for women in that group. So it is not as you say, an increase from 1 to 2 would mean a doubling of the risk. They're not going to waste space in this article giving specific data; that was done in the original article.... which there IS a link to from this one. If you're that interested, read the original article for the Women's Health Initiative. the term "estrogen" you use is misleading and the term "progesterone" is total false. WHI used Premarin and Provera two totally differenct products you refer to. Also you refer to 30 years ignorant data when suggesting estrogen only when no uterus is present. The general body needs progesterone (not Progestin or Provera) and especially the breasts. Any dosed estradiol and hopefully never conjugated estrogens requires progesterone to the regimen. when quoting from data please give the actual correlated study as reference and never just say a study or the study. Do your homework an report both sides before frightening confused women. The conclusions of this study applies to chemically altered, i.e. synthetic, estrogens and progesterones. Bio-identical hormones, which have not been chemically altered, have not been shown to have said effects on cancer. A large prospective study in France (E3N study) did not reveal increased incidence of breast cancer in patient's receiving bio-identical estrogen and progesterone–only patient's receiving synthetic hormones had a significant increased incidence of breast cancer. It is a significant weakness of the large U.S. studies that they do not specify it is synthetic hormones causing increased risks of cancer, stroke, and heart disease, not bio-identical hormones. Only the synthetic (chemically altered) hormones can be patented by pharmaceutical companies, thus bio-identical hormones are not promoted. Food for thought. I agree with the above comments. Since when are all projestins created euqally? This is bad science and irresponsable in my opinion. MPA is the bad apple here. Chemical structure does matter! Progesterone has not demonstrated breast cancer risk and MPA clearly has. If everyone is so scared of progestins why do we not hear the outcries against birth control pills? Maybe it is becuase dose and type of hormone AND the combination of those hormones matter. Using progesterone and progestin as the same word scares clinicians and patients and fuels imbalanced decision making in hormone management. Once again, incomplete reporting. The link is to WHI, which is not where the "new" information came from. The information is from the Nurse's Health Study. This is a tracking study without any restrictions on reporting participants' health or habits. It was not set up to look specifically for breast cancer risk vs. placebo in appropriate patients with identical health histories. Also, as this is data from 1980 through 2008, the estrogen product available was primarily Premarin (conjugated equine estrogen). This is not the same as 17-b estradiol, which is the form of estrogen most prevalent in a pre-menopausal woman. 17-b estradiol is widely available today in FDA approved products produced by pharmaceutical companies such as Estrace, Vivelle DOT, Elestrin and generic estradiol tablets. ALL estradiol products are Bio-Identical and contain the exact same estradiol, regardless if it is produced in a monitored and controlled environment by a pharmaceutical company or mixed up in a pharmacy by your local pharmacists and technicians. Note: Ethinyl estradiol is a synthetic estrogen and not the same as 17-b estradiol. Also, Jenny is right. Progesterone is the hormone naturally produced in a woman's body. Progestins are synthetic progesterones with similar, but not bio-identical chemical structures. WHI directly linked Provera (MPA-medroxyprogesterone acetate) to an increased risk of breast cancer. No study using progesterone has been done showing an increased risk vs. placebo. This report should not be interpreted by women to mean that they should stop their hormone therapy. If anything, it should encourage women to ask their health care provider if they are using a regimen consisting of estradiol and progesterone (manufactured by a pharmaceutical company or compounded in a local pharmacy) or synthetics and to discuss possible risks versus benefits of treatment regularly. I agree 100% that added estrogen can cause cancer. There are even foods that promote estrogen in your body. Also, enviromental estrogens that when in contact promote estrogen that most people don't even know about.. Being careful about what we eat and put around us makes our health improve, too. Look at research about developing cancers because of toxic cleaners in our households or the additives in our foods. Find a holistic doctor who can work with you to avoid the discomforts of menopause. Use products that do not give us tradeoffs like symptom A can be diminished but the product may cause you a cancer. That is NOT a tradeoff that is slightly acceptable. Pray that you never get the call that has the words in it of "I'm sorry to have to tell you, but you do have cancer." Avoid the whole issue by practicing prevention. 1. Product-specific knowledge is critical to advising the public when reporting clinical trial results. 2. Estrogen is storred in fat cells ~ too little attention is given to this reality. Choosing to take estrogen (& progesterone if you're uterus is intact) requires choosing to maintain a proper weight. 3. Educate and advocate for yourself ~ the devil is in the details! I'm 49 and feeling the complications of menaupause, the little things like hot flashes, cranky, don't really bother me, it's the anxiety, fear that is really getting to me, I own a business, and I have always been very in control, but this anxiety is really a pain in the buns. Never had this in my life. . So doing research, listening to doctors, and seeing proof from friends, and customers, that have gotten breast cancer and other,. I have decided that I'm going to exercise more, eat better, and take a lorezenpam .5 mil to calm the nerves. I'm not one to take pills but I think I would rather take a pill now and then, tha. Worry about cancer. As I sit here, I am sitting with my mother in law that has had a stroke (in the occipital region of the brain). She is elderly, yes, but she has taken HRT for 42 yrs! Yes I said 42 years! I talked with her inumerous times about the dangers of prolonged HRT but to no avail! She would simply say "If I dont take it I cant sleep and I get hot flashes." I have been a RN for 35 of those years and cared for many women that have taken HRT or BCP that have had adverse reactions to HRT such as DVT and CVA.The only reason she stopped taking the estrogen was due to her insurance refusing to continue to pay for it and it would have cost her in the neighborhood of $135.00/month. She is now 84, her speech is gone, right sided paralysis and will require constant care for the rest of her life. Three weeks previous to the stroke she suffered a very severe MI and had a blood clot in her heart and has been being treated with anticoagulants and various other meds to reduce the risk of CVA. Just wanting people to be aware of the very real risks of HRT! One swab could save a life! Get tested to check if you are at risk of breast cancer. This is an irresponsible article in some ways. The writer uses the word progesterone but the research to which she is referring s based on using a form of progestin, a potentially big, big difference.